Conor McGregor vs. Floyd Mayweather II? Would Anyone Want to See it? Mayweather vs. McGregor went down on Aug. 26, following over a year of speculation and hype which culminated in a 10th round TKO loss for the Irish debutant. The fight itself was lambasted in the boxing community, given the fact that Mayweather was one of the greatest boxers to ever lace up gloves while McGregor had never had as much as a professional boxing bout. The entertainment factor made it an easy sell to casual fans, however, with Mayweather bagging an estimated $300 million to McGregor’s circa $100 million. In terms of financial gain, sure, a rematch between Mayweather and McGregor certainly makes sense. 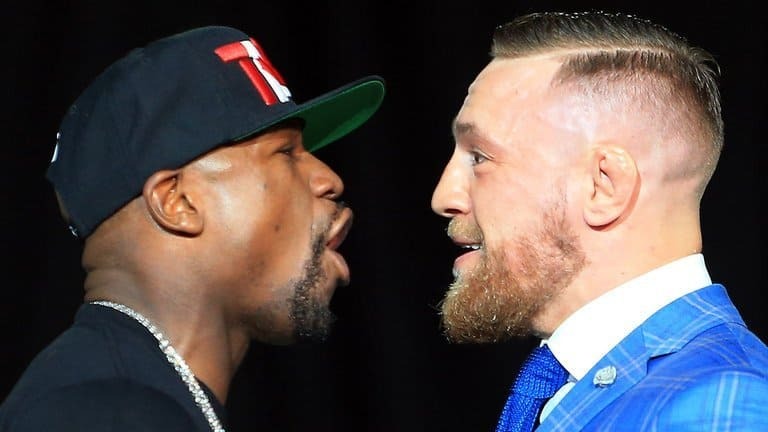 While a significant amount of pay-per-view buys are a highly likely for a rematch and all involved will enjoy another healthy payday, it is hard to envisage fans being as interested in another bout between the two. “I had an amazing team and It truly was an amazing and enjoyable camp, and honestly I feel with just a little change in certain areas of the prep, we could have built the engine for 12 full rounds under stress, and got the better result on the night,” he said in an Instagram statement. “I know if I want another go with him under boxing rules I’d get that win, I know that,” Ireland’s first UFC belt holder said. “I know I could do it in the first place. McGregor continued: “They were making up all these f**king stipulations like I wasn’t taking it seriously. Like I didn’t have a hall-of-fame referee at my camp present at every single spar. Do you know what I mean? “I had a boxing referee in Ireland, a great boxing referee in Ireland and then Joe Cortez in Vegas, every single spar. McGregor’s laments certainly appear to suggest that he is after another crack at Mayweather. While the bout was an attracting prospect to many for the novelty factor and the pre-fight verbal clashes, now these particular scenarios have been played out the selling point of a rematch would require a new narrative. McGregor, while performing above expectation in the eyes of many, still lost by TKO and never had Mayweather in danger. In order to justify what would by all expectations be a pay-per-view price of close to $100 dollars for a rematch, there would need to be a selling point both intriguing and believable enough to warrant fans dishing out again. While it is highly unlikely that Mayweather would even as much as consider stepping into the octagon, ironically, it appears that this may be the only likely and conceivable way to arouse interest in fans.